California Resources Corporation (CRC) is an oil and natural gas exploration and production company operating high-growth, high-return conventional and unconventional assets exclusively in California. CRC explores for, produces, gathers, processes and markets crude oil, natural gas and natural gas liquids. CRC makes significant use of proven modern technologies to enhance safety and efficient production across our leading mineral acreage position and diverse portfolio. CRC provides “Energy for California by Californians.” California homes, farms, businesses and communities need ample, affordable and reliable energy, and CRC’s dedicated workforce of approximately 4,000 California employees and contractors develops dependable local oil and natural gas reserves that help to reduce our state’s chronic dependence on imported energy. For the past four years, our employees have received Excellence Achievement Awards from the National Safety Council for their exemplary safety performance across our statewide operations. CRC is also an economic engine for California supporting thousands of jobs and careers. 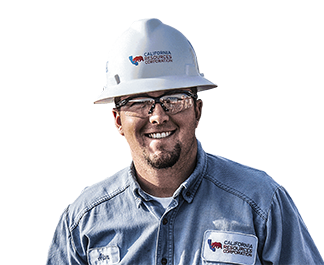 Since 2014, our operations have invested approximately $7.6 billion with more than 2,000 suppliers and vendors and provided more than $1.4 billion in oil and gas revenues and taxes to the State and our host counties and cities where we live and work. CRC is the largest oil and natural gas producer in California on a gross-operated basis and we believe we have established the largest privately-held mineral acreage position in the state, consisting of approximately 2.3 million net acres spanning the state's four major oil and gas basins. We have a sizable inventory of approximately 33,870 gross drilling locations and 6,400 gross unconventional prospective drilling locations throughout the state in our portfolio of conventional and unconventional opportunities from which we plan to generate production growth over the longer term. Visit our Investor Relations section for important information about drilling locations. As an independent company operating exclusively on California, we apply advanced technologies to grow local energy production in a safe, environmentally responsible and cost-effective manner that is consistent with the interests of our surrounding communities.